If you’re looking for rental properties in Pacific Pines, Ball Realty has you covered. As a leading real estate agency on the Gold Coast, we have a special focus on Pacific Pines, providing a range of rental properties in Pacific Pines and surrounding areas. Check out our current listings to view our full range of Pacific Pines rental properties. We have rental properties available to all suit all preferences and budgets. Whether you’re looking for a home to suit a busy working single or to support a large family, we offer rental homes for all lifestyles. 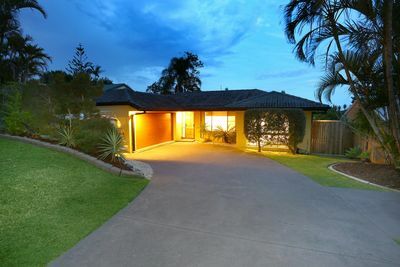 Pacific Pines is a popular suburb for rental properties on the Gold Coast. 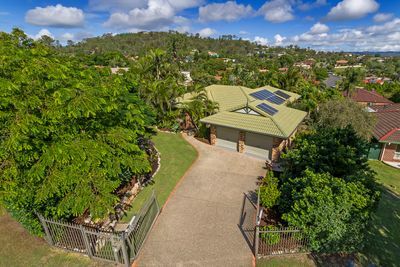 Located 18kms north-west of Surfers Paradise, it offers close proximity to beaches and the Gold Coast hinterland, providing the best of both worlds. With quick access to the M1 highway, Pacific Pines is just an hour commute from Brisbane CBD. Undergoing massive development in 1993, Pacific Pines was meticulously designed to include kindergartens, schools, shopping centres, parklands, bike paths, medical facilities, public transport and a range of sporting and community services. It offers all the conveniences to support a busy lifestyle, making it ideal for families, individuals, couples or retirees. Some parts of Pacific Pines border with Nerang National Park, an open forest environment that’s home to many native Australian wildlife, including kangaroos, lizards, wallabies and a variety of birdlife. The national park is fantastic for hiking, bike riding and bird watching. In 2016, Pacific Pines had an estimated population of 16,884. Ball Realty takes a different, more thorough approach to property management. We believe happy tenants mean happy landlords, which results in a better overall rental experience for all parties. Once a tenant has been approved for a rental property in Pacific Pines, we follow a strict set of procedures throughout the tenancy. First, all rental properties undergo a thorough bond clean before the new tenant moves in. A pre-move-in inspection is then carried out, with our rental agent and the tenant completing a moving in condition report together. Any damaged or worn areas are photographed for our records, and a copy of the completed report is distributed to the tenant, landlord and held in our files. Rental inspections are held on a quarterly basis, with all tenants receiving a bare minimum of 48 hours’ notice prior to inspection. When a rental agreement ends and the tenant leaves the property, an exit condition report is conducted. If any items need repair or attention, our Gold Coast realtors will help arrange for repair work to be done. This thorough process has proven very effective, solidifying Ball Realty’s reputation as the go-to realtor for rental properties in Pacific Pines and surrounding Gold Coast suburbs. If you’re looking for a rental property in Pacific Pines or any other part of the Gold Coast, contact us to find out more about the rental properties we have available and enjoy the Ball Realty difference.